How To Remove a Stain?? 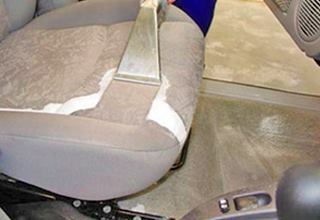 One of the most important aspects of car detailing is removing stains from the car’s seats and carpets. Although it is not always possible, there are steps you can take in an effort to remove a stain. Before calling a professional, you could try to buy at Walmart or at any auto part store a stain remover. I like a brand called Resolve. Also, you should get some kind of foam cleaning spray. You will also need a regular brush and at least 12 microfiber towels, however; the more the better. Keep in mind, this is going to work better on a small area and on a fresh stain. Therefore, if you are trying to take stains out all over your car, you will be better off having a professional remove the stains for you. At this point, you have all your supplies and you are ready to start. Presumably, the stain is small and if they are many you will still want to start with one. Once you are able to remove one and like the result you can do the same with all the other stains. All at once if you wish. First, vacuum your vehicle. Then, Spray the carpet cleaner you got generously. Put a towel on top of the stain and sprat some more on top of the towel. Not a lot, just enough to make it stick to the carpet. Then, leave it there for 2 minutes. Now, make a fist and put your fist in the towel, and move it semicircular downwards. Change the position to where the stain is and where a side of the towel is clean and repeat this process until you see that the towel is not getting anymore dirt from the stain. Then Spray again and use the brush gently on different directions, including circularly. After, repeat the first step for several times interchanging between the regular liquid spray with the foam spray. Last, vacuum the carpet of seat focusing only on where is wet. When you are done, turn the heater of your car for several minutes until the affected area is completely dry. Calling a mobile detailing company might be your best option after trying to remove a stain on your own. Mobile detailing is like going to an auto detailing place, but you will get a more personal experience and you won’t have to wait on other cars being done before yours. If you are in Orlando we specialize on taking most types of stains. Do not hesitate to give us a call and book an appointment with us online.